Grilled antelope tenderloin is an amazingly tender and juicy piece of meat. This cut of meat is very lean. The hickory-smoked bacon wrap is important because it gives the tenderloin just the right amount of fat and salt. Before wrapping with bacon though, we first marinate the pronghorn meat for two hours in a delicious marinade made up of red wine, mustard, soy sauce, brown sugar, and a splash of Worcestershire sauce. Then its a sprinkling of fresh herbs and seasoned salt before finally wrapping in bacon. 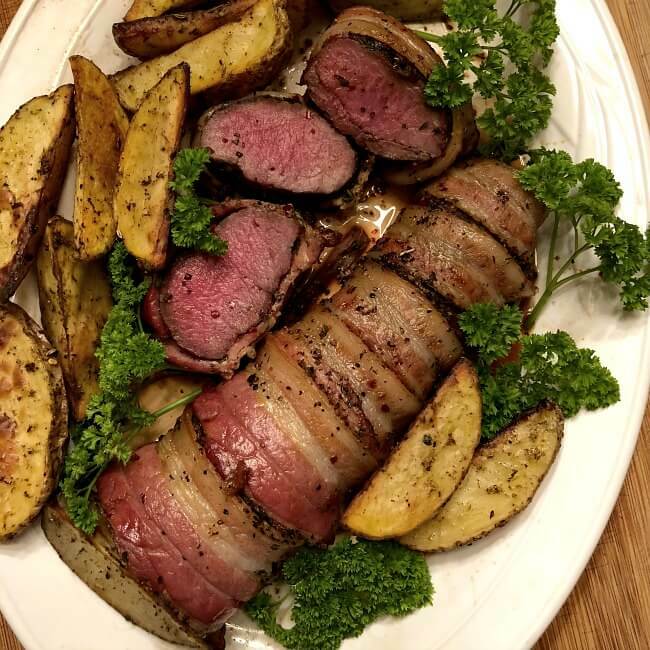 For this recipe you will need: tenderloin, hickory-smoked bacon, dry red wine, soy sauce, mustard powder, Worcestershire sauce, brown sugar, honey, fresh rosemary and thyme, Montreal steak seasoning. 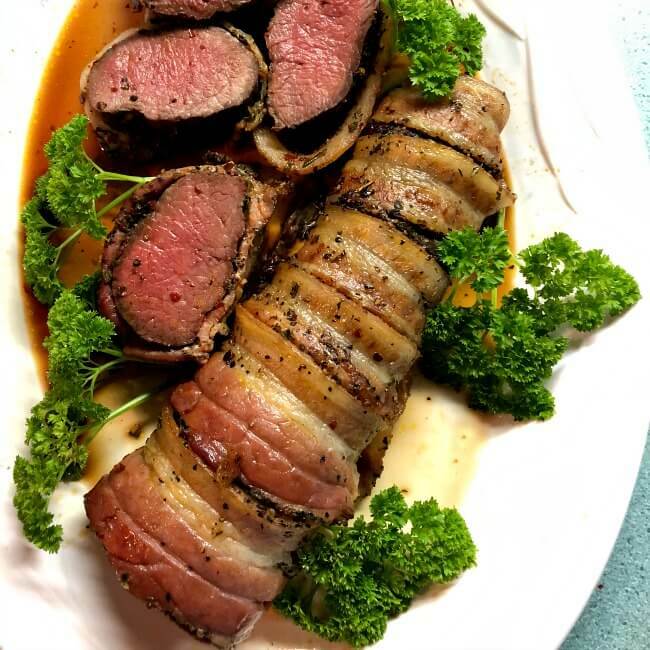 When we started our blog four years ago we never dreamed we’d be posting a recipe for grilled pronghorn tenderloin. But here we are doing just that. Until recently, no-one in our family took an interest in hunting. Our son, Jason, got the hunting bug. He went from deer hunting in his home state of Indiana, to traveling to Casper, Wyoming, to try his hand at getting a pronghorn antelope. We thought that this game meat would be like the venison steak that we had enjoyed. In fact, we thought that this North American mammal was just a miniature deer. It’s Latin name, Antilocapra americana, means American goat-antelope, but it’s not a member of either family nor is it a member of the deer family. The pronghorn is North America’s fastest land mammal traveling up to 60 mph. That is really clicking!! I don’t think you’d be able to chase that animal down. The speedy mammal is acutely aware of its surroundings. They have large eyes and can see 320 degrees around. We used to kid that mom’s had eyes in the back of their heads, apparently, pronghorns do. They have horns, not antlers. Lewis and Clark were the first ones to scientifically document Pronghorn Antelope even though they’ve been in North America for over a million years. Marinate the antelope meat for additional taste and additional moisture. We let the tenderloin marinate for 2 hours in a special herb rosemary thyme marinade. Use some fat for juiciness and taste. The meat is very lean. We decided to use hickory-smoked bacon to give the meat the needed fat and the smokey taste of the bacon. Don’t overcook. For loins, fillets, or chops, cook to the medium rare stage — 130 degrees F.
Cook roasts low and slow. A temperature at 180-200 degrees F. for several hours until fork tender. We grilled the tenderloin over medium-high heat until the internal temperature reached 135 degrees F. and let the roast rest for 15 minutes before cutting. The grilled pronghorn tenderloin is very mild-tasting and is finely grained. It has 1/3 the calories of beef and many prefer the taste of pronghorn to venison. We know you’ll enjoy the taste and how easy it is to prepare. The Pronghorn tenderloin is succulent, mild tasting with a fine grain. We first marinate the meat in a marinade made up of red wine, soy sauce, a bit of honey and brown sugar. To keep the meat in a log shape, we tie it with butcher’s twine. We then rub fresh herbs and seasoned salt all over the meat before wrapping it with thick-sliced hickory-smoked bacon. You can also use this same method for venison, beef, and pork tenderloin. If you don’t have a tenderloin and want a delicious cut of beef, try our Standing Rib Roast with Herb Rub. This is one of the tenderest pieces of meat we've ever eaten. It's first marinated in a delicious red wine marinade then season-salted and herb-rubbed, bacon-wrapped then slowly grilled until done. 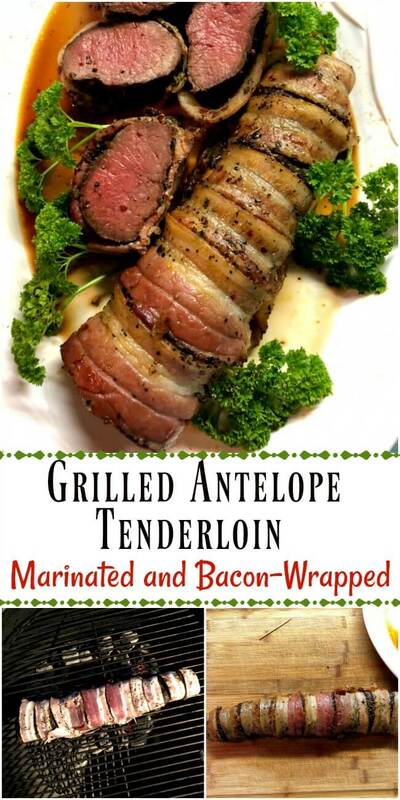 Using butcher's twine, tie the antelope loin in a log shape. Place the loin in a heavy duty zip-lock bag. In a glass measuring cup mix the wine, soy sauce, dry mustard powder, Worcestershire sauce, honey and brown sugar. Pour the marinade over the pronghorn loin and seal the bag. Place on a dish (just in case it leaks) and set in the fridge for 1-2 hours. Prepare charcoal grill for indirect heat. Light the grill and wait until it reaches medium heat (350 F.) While the grill is heating up, finish preparing the tenderloin. Remove the loin from the marinade, blot with a paper towels, remove the butcher's twine. Sprinkle liberally with the Montreal Steak seasoning, fresh thyme and rosemary. Wrap the meat with the bacon. Cook over medium heat until the internal temperature reaches 140 degrees F. Cover and rest 15 minutes before slicing. Enjoy a delicious piece of meat. IF YOU USE THIS RECIPE FOR A PORK TENDERLOIN: The internal temperature should be 140 degrees F. then let it rest 15 minutes. It should increase to 145 degrees F.
Other game recipes you may like . . . Note: Recipes and content from 2014-2018 All Our Way are copyright protected. Please do not use content or recipe without prior written permission. If you want to share the information please link to this post. Grazie. 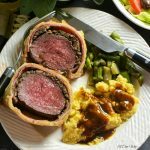 I have not heard of this dish, glad read your informative post today, a perfect recipe for antelope lovers! Wow, never tasted an antelope below, and it looks interesting. The marinade particularly sounds delicious! That looks like a restaurant-worthy kind of meal! I have never tried this kind of meat, but now I’m intrigued. I had absolutely no idea that anyone in North America could hunt and eat antelope. I’ll be honest, I wouldn’t do it myself, but it does sound mighty tasty! And who doesn’t love bacon? This is a very informative post. I had no idea people in North America could hunt and eat antelope. I’ve certainly never seen it available for purchase. Wow. I’ve never had antelope. This marinade sounds super versatile like I could use it for any game meat. Thank you for the inspiration. I can honestly say I’ve never had Pronghorn before! I like that you give lots of tips and tricks to keep it nice and moist. And who doesn’t love bacon? I’ve never had antelope, but I love deer and elk so I’m betting I’m going to love this too! I literally drooled when I saw your awesome photos!! They are gorgeous and perfect! The meat looks absolutely perfect. I bet it taste amazing – just like you’ve said, mild and flavorful. I never tried antelope meat … but you really got me interested in this. 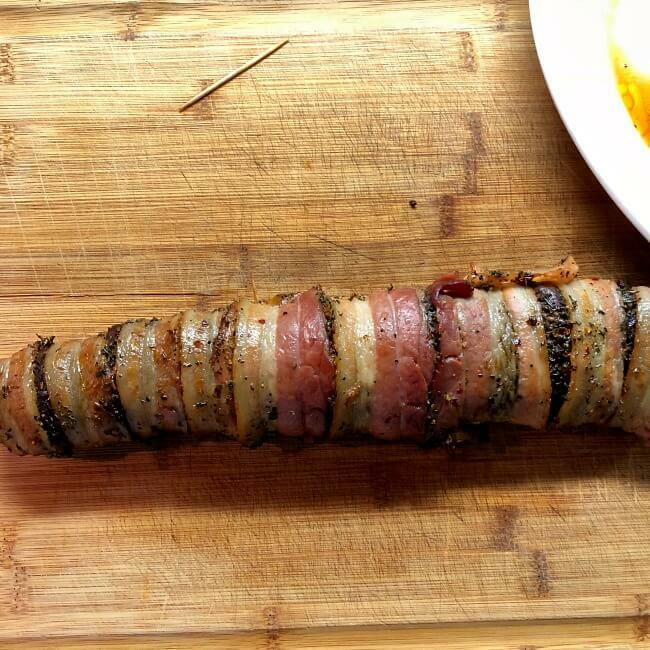 This bacon wrapped grilled antelope looks delicious, perfect meal with some good salad. I love it. I don’t recall having grilled antelope tenderloin very often but this recipe makes me want to go get it and cook over and over again! And that marinade of yourks must work wonders – yum! This sounds like it would be a beautiful entree to serve for the holidays, and a little different than our usual meats. We have an “exotics” butcher close by that probably sells antelope, I should give it a try for my hubby (who LOVES trying new things!). I have never eaten antelope meat but I do love grilled meats so this is definitely something I would love to have. Sounds do yum. This dish looks definitely so inviting! I don’t know if I’ll taste it, but for sure, I am very curious to try it! Thanks for the great tips! That looks like a great recipe to make for the holidays. Thank you for the detailed recipe and the information about antelopes. Anything wrapped in bacon has to be good. I have never tried antelope, so this is new to me. We don’t have hunters in our family. Sounds like a great meal to feed a hungry crowd of “game lovers”. I dont think my comment went through so I am trying again :). This is so gourmet and what a beautiful presentation. I would love to serve this for a Christmas and Easter dinner. My family will love it looks so tender .. I guess he needs to hunt more ! Wow it looks so delicious! I have never tried this before. But it looks appetizing and it’s a good idea for a festive table. I want to try this recipe. I’ve never tried antelope before. It’s not available here in California, but your recipe looks fabulous! I haven’t tried antelope before, but it sounds yummy and I like that it is a lean meat. It sounds somewhat similar to venison. Loving the bacon wrap on the meat- yum! My son just got an antelope and I came across your recipe. We only have a gas grill. Any variation suggestions for cooking without charcoal? Thanks! Hi, Nikki!! We haven’t tried it on our gas grill but some gas grills have a setting for indirect heat — so the bacon drippings don’t flame up. That is the main concern. Otherwise, you would do the same as the charcoal grill only you won’t get that smokey flavor from the gas grill. Let us know how it turns out — the meat is so tender and delicious!! My daughter learned to hunt and got an antelope last fall. This recipe was a huge hit with the family last night; we’d be interested in how you’ve prepared antelope roasts. Hi Edith! I’m so glad you liked how the recipe turned out. We certainly enjoyed ours. We haven’t done a whole lot with antelope roasts. Our son went hunting last fall and got one. But what I do know about wild game is that how you cook a roast depends on where it’s from. A shoulder roast or a neck roast needs to be cooked like a pot roast. Something like a slow cooker or a Dutch oven. Slow and low, then pull the meat apart off the bones. Hind leg roasts like for deer need to be hot and fast and cooked to medium-rare. Also, the younger the animal, the more tender it will be and the less you need to cook it. I hope that helps. As we prepare wild game we’ll try to give more of an explanation. 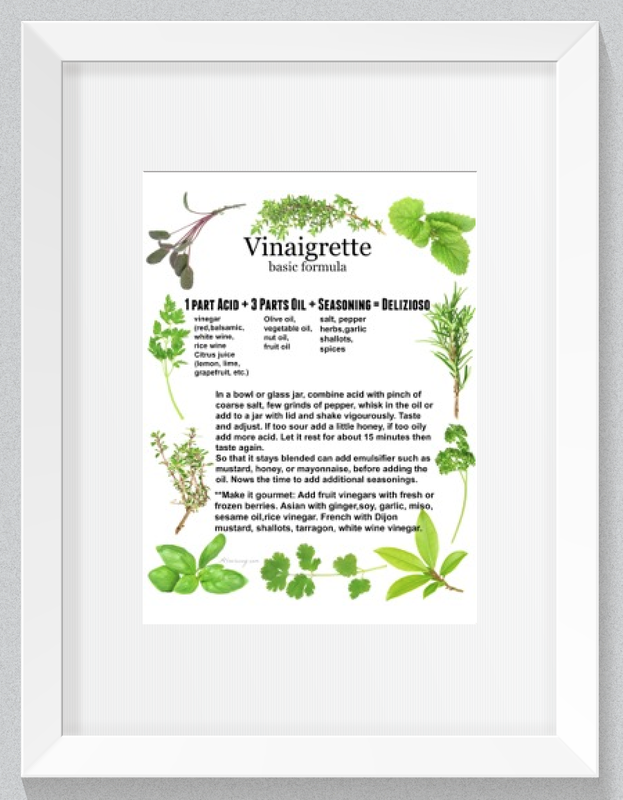 The marinade can be used with any wild meat and even domestic. I’ve got an terrific Asian marinade I’ll be posting. 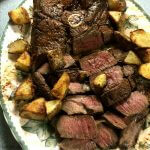 I am in the process of preparing the recipe as I have antelope backstrap available. However, you state brown sugar as an ingredient for the marinade, but the brown sugar and amount is not listed in the recipe ingredients. I will guess one tablespoon for now. Hi, Pat!! It should have been 1 Tbsp of brown sugar — you guessed right. Even two people proof-reading can forget. I apologize. Will add the amount to the recipe. Wow, this recipe really impresses! Looks very tasty. Very beautiful presentation! I really like. I think this recipe will be one of my favorites. I definitely want to try it and I’m sure it is very tasty. Thank you for sharing this great recipe! YUM! Hello, Veena! Thank you! It is so good and it’s really very easy to make. You can use the recipe for other meats. Wow, very well written article, I learned so much, thanks! Not sure when the next time I am going to cook antelope but I will use your tips and recipe! I’m a big fan of game meat. Our game in the UK is usually on the smaller side, like rabbit and pheasant, but this sounds really good! Hi, Debs! We certainly are fans now, too. We’ll have to try out the rabbit and pheasant. Hope you have a great week. I’ve never tried antelope! Is it gamey? If I see some in the store, I will pick it up! It isn’t gamey at all, Carmen. It’s all in the processing of it. The meat is very mild, tender, and very good. Hi, Jessa! The marinade is really good and you can use it for other meats. What an interesting post!! I love the history you included! I’ve never had antelope….I wonder is it gamy? I assume my local butcher would have this? What a nice venture!! I’ll have to dive into stepping out and trying a new meat!! Hi, Amanda! It isn’t gamey at all, in fact it is quite mild and tender. I don’t know if your local butcher would have it. They might at a processing plant where hunters take their meat. Out West antelope is quite plentiful so you might find it at a restaurant there. This sounds so amazing! I have never had antelope before, but I come from a big hunting family and grew up eating venison! Now I need to find a good place ot buy some! Hi, Jenni!! Have the hunters in your family go out and get you an antelope. It’s quite a challenge but the result is worth it. Have a great week. I have a very good friend who’s husband is an avid hunter. They might really enjoy this recipe! I’m passing it along to them! Hi, Jennifer! Thank you very much for passing it on. I’m sure they’ll enjoy the recipe! Can you have your son send some of dat tenderloin up to me? I need some vibrant food! I have never heard of anyone eating antelope and how cool that you did! That was a very interesting posts and of course the recipe looks and sounds amazing. I will probably never get my hands on some antelope and I will try it with the pork tenderloin. We seem to eat that a lot. Hi, Denise! It will work great with pork. We’ll do that with a tenderloin we have in the freezer. I have never had antelope, but this sounds so good. 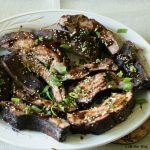 I love the marinade – it’s similar to one of my favorites! Hi, Karyl! We are fortunate our son loves to hunt and gave us the tenderloin. This is the first time we taste pronghorn and I hope it’s not the last. Have a great weekend. Hi Marisa……The Filet looks absolutely delicious…..You can’t beat the real deal….👍to you and Master for a delicious, picture perfect filet. This sounds wonderful! What a great dish for a special occasion. Hi, Tamara! You do have antelope in Texas. Jason, our son, got this in Wyoming. You’ll love the taste. I did a double take when I realized that this recipe is for antelope! It looks DELICIOUS and this post was super entertaining to read! We have NO hunters in our family. This sounds like a very interesting cut of meat. How does it taste compared to venison (which I have never had either)? I need to talk to our neighbour….he does hunt deer and moose. I have never seen this dish before either and I wondered where you would get antelope. Now I know. You certainly do make it look delicious. Thank you, Jovina! It was a real treat — our son was kind to give that to us. We were driving to our Lakehouse in October and it happened to be on the opening day of hunting season. I come from a hunting family, but we saw some Elk that people had gotten and I was blown away at how big they were… and I sat there dreaming of all the different ways I could create recipes for them! I’m filing this away to try ! Well, I’ve never heard of anyone hunting an antelope, much less cooking it. But you make it sound like health food and it certainly looks delicious. I doubt I’ll ever have the opportunity to find it near me unfortunately. Hi, Linda! I didn’t know that antelpe were as plentiful as they are. They aren’t around our area but out west there are huge herds. The taste is a bit like venison but milder. I couldn’t believe how good it was.